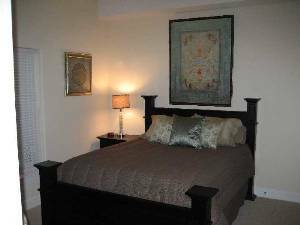 Two bedroom, two bath unit, fully furnished. Sleeps 7. Located on 21st floor (210+ feet up). Has breathtaking, extreme view of ocean and sunset! 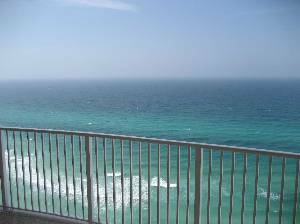 End unit that faces towards southwest (again on the 21st floor), which provides one of the best views in Ocean Villa and possibly all of Panama City Beach! 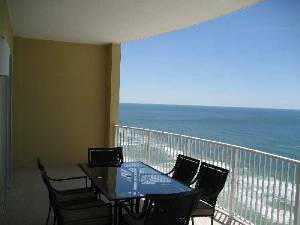 Living room with balcony overlooking the Atlantic/Gulf of Mexico. 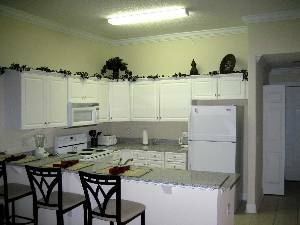 Kitchen: granite countertops, range, microwave oven, dishwasher, refrigerator/freezer, garbage disposal. Ceramic floor tile, 9 foot ceilings, marble vanity tops. Other nearby attractions include Club LaVela, Spinnaker, Splash Bar, Pineapple Willy's. 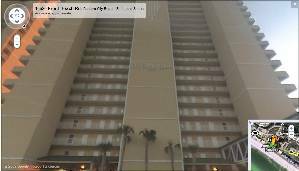 More info about Panama City Beach, FL. 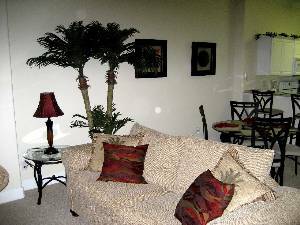 The view is spectacular, the condo is very nice and clean, the price was even better. We had a "Girl's Only" long weekend...Stayed April 20 - 23, 2012. Hated to leave. 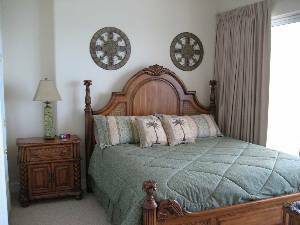 Go to viewofparadise dot org for a Price Quote or to Book Online! 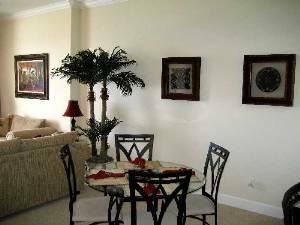 We will meet or beat pricing on comparative condo units! Snow birds welcomed for winter season, please contact us for monthy snow bird rates.